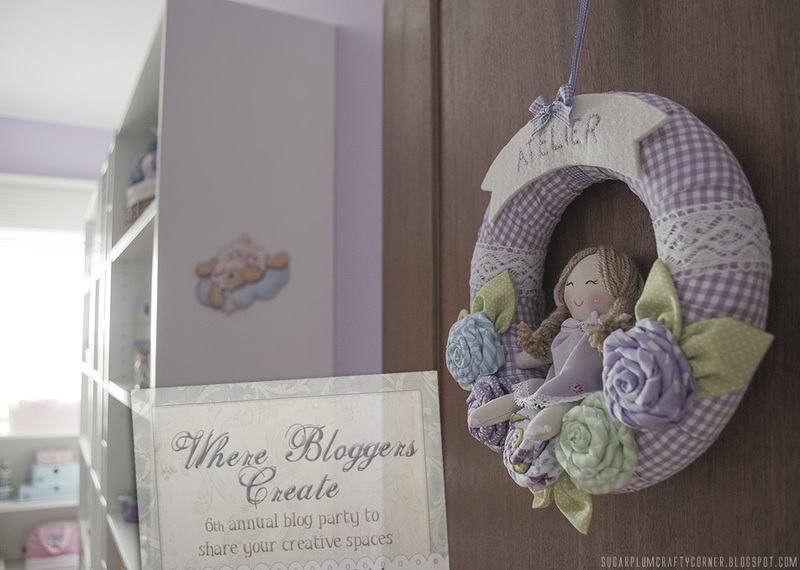 Há 6 anos que Karen Valentine, do blog My Desert Cottage, lança anualmente o popular desafio "Where Bloggers Create" aos bloggers interessados em exibir os seus cantinhos criativos, revelando assim mais detalhadamente o espaço onde dão asas à sua criatividade. 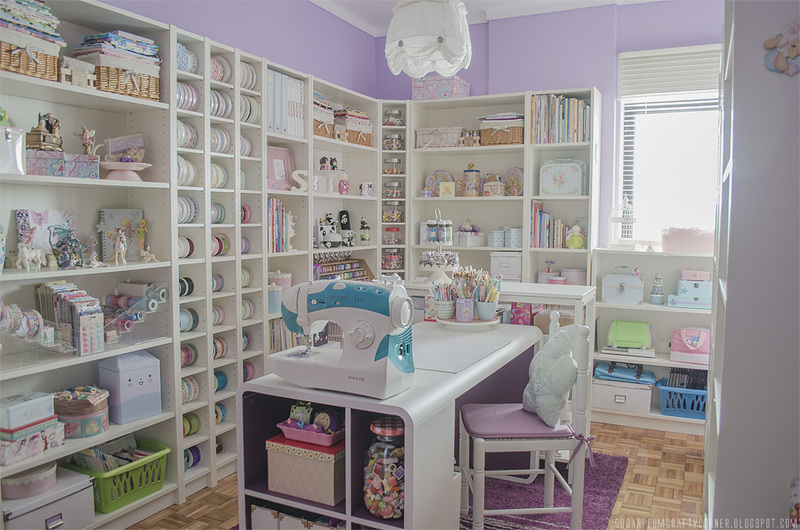 Para os entusiastas de manualidades, esta iniciativa é uma verdadeira inspiração pela beleza, pela criatividade, pelo engenho e pela paixão com que cada atelier é preparado, organizado e decorado. Apesar da minha ausência, não deixei de avançar com a organização e a decoração do meu cantinho. Neste momento, tenho o atelier praticamente pronto, faltam somente alguns pormenores para o finalizar. Assim sendo, achei que esta seria uma excelente oportunidade para partilhar o meu espaço com os mais curiosos e para participar nesta iniciativa que acompanho há 2 anos, com a qual fico sempre deslumbrada ao ver alguns dos mais bonitos e inspiradores ateliers. É a primeira vez que participo! 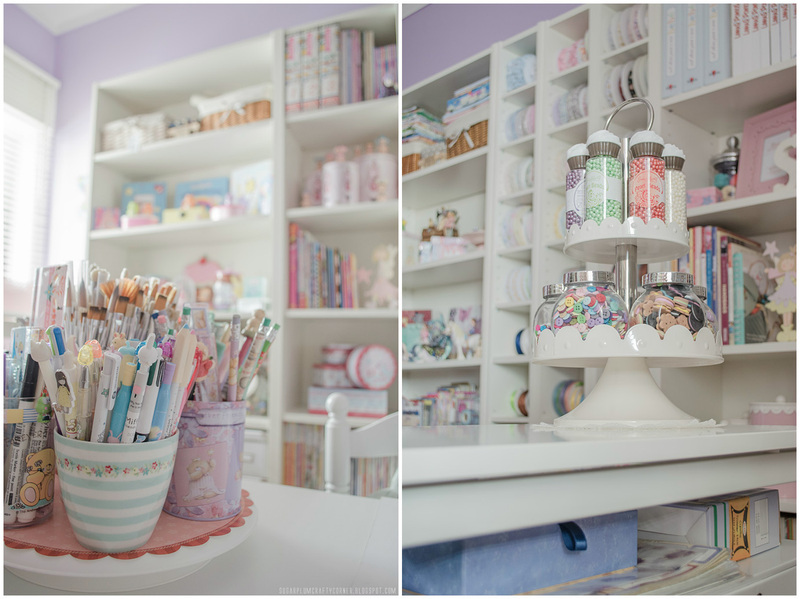 Bem-vindos ao atelier Sugarplum Crafty Corner! Sugarplum é o nome da cor por mim escolhida para pintar as paredes do meu atelier e que deu origem ao nome do blog. Para aproveitar ao máximo o pequeno espaço, achei que o melhor seria circundar-me de mobília, na sua maioria da loja IKEA, e colocar ao centro uma ou duas mesas de trabalho. Ao fazer uma combinação/solução para canto com as estantes permitiu-me ganhar mais espaço para arrumação. Não deixem de visitar e de inspirarem-se com os restantes espaços criativos que participam em "Where Bloggers Create", no blog My Desert Cottage! 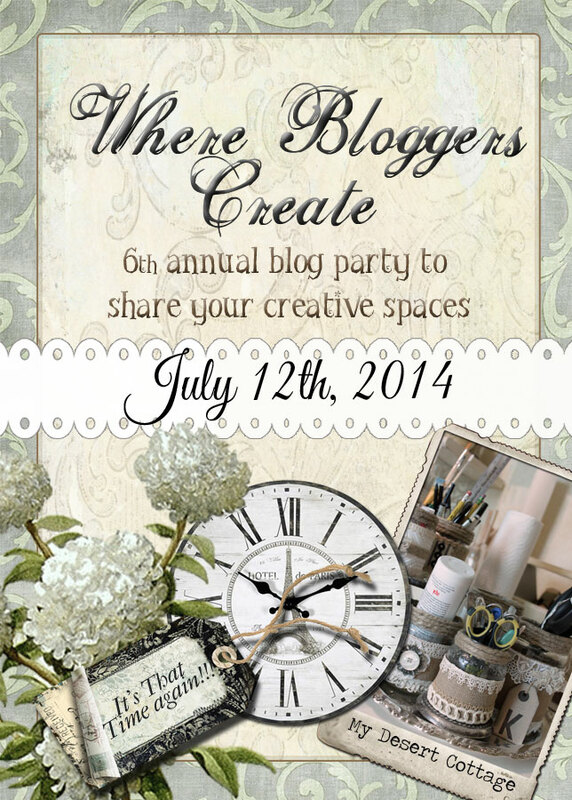 For 6 years now, Karen Valentine from My Desert Cottage's blog, has been hosting annually the popular challenge "Where Bloggers Create" to bloggers interested in displaying their creative studios, thus revealing more details of their space where they give wings to their creativity. For enthusiasts of handcrafts, this initiative is a true inspiration for the beauty, the creativity, the ingenuity and passion that each creative space is prepared, organized and decorated with. Despite my absence, I have not stopped moving forward with the organization and decoration of my little corner. At this point, I am almost ready with it, lacking only a few details to finalize it. So, I thought this would be an excellent opportunity to share my space with the curious ones and to participate in this initiative which I have been following it for 2 years now, with which I am always dazzled to see some of the most beautiful and inspiring craft rooms. This is my first time participating! Welcome to Sugarplum Crafty Corner! 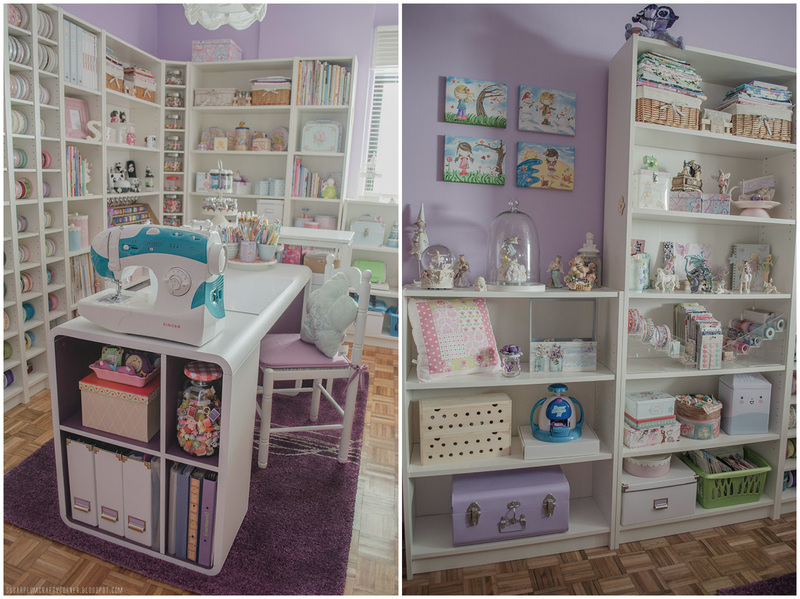 Sugarplum is the name of the color chosen by me to paint the walls of my craft room and it is the origin of the blog's name. To make the most of the small space, I thought it would be best to have the furniture around me, mostly from IKEA, and in the middle of the room one or two working desks. By doing a corner combination/solution with the shelves allowed me to gain more storage space. Whenever I enter the studio, I instinctively feel I am in an enchanted world, completely apart, a world of my own filled with lots of inspiration. I believe it is to surround ourselves with beautiful things that mean something to us or which we identify ourselves with, certainly will make us create beautiful things! Do not forget to visit and be inspired by the other creative spaces that are participating in "Where Bloggers Create" at My Desert Cottage's blog! Thank you Karen for making this possible! 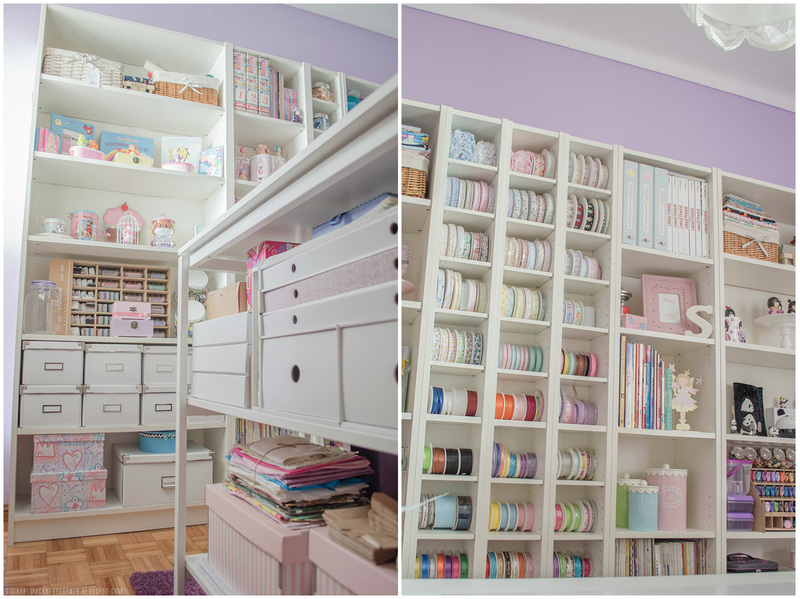 beautiful studio ~ love your ribbon collection. You have such a pretty, and gentle creating space. 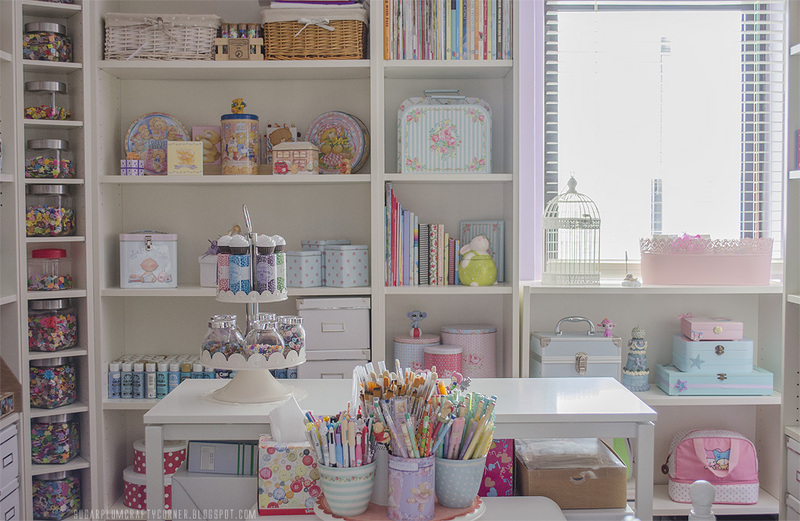 I love organised spaces! Mine is quite small so I have to be. Thank you for sharing. New follower. Such a bright and beautiful room! 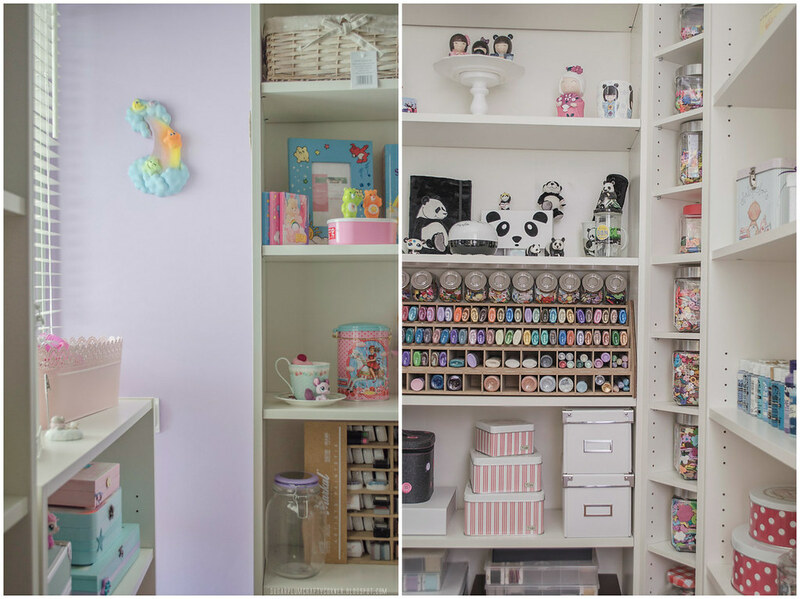 Who wouldn't be inspired to work in this room! So glad you visited my blog to see my room. I'm wondering why all of a sudden people are checking out "Seams and Scissors" site to check on rooms and then what is unbelievable, I just left a comment with my link? That was a long time ago and now all of a sudden I get almost 1000 hits in the last 3 days! Oh my God, I need additional room in my flat! !